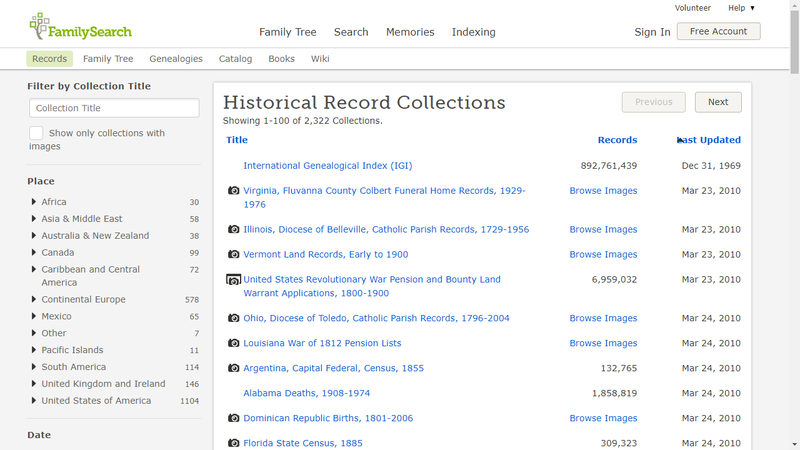 Saturday Night Genealogy Fun - What Did Your Father Love To Do? 1) It's Father's Day in the USA on Sunday, so let's talk about our fathers. 2) What did your father really like to do in his work or spare time? Did he have hobbies, or a workshop, or did he like sports, or reading, or watching TV? My father, Frederick Walton Seaver (1911-1983) loved anything to do with sports. Especially baseball. He grew up in Leominster, Mass., and played baseball at Leominster High School in the mid-1920s. He went to Dartmouth College to play baseball, but hurt his knee and dropped out as the Depression hit in the 1930 time frame. Back in Leominster, he played on several sandlot teams during the 1930s. His favorite major league team was the Boston Red Sox (of course!). After he moved to San Diego in 1940 and got married in 1942, and came back from world War II in 1946, he was a high average ten pin bowler and was on teams in San Diego's most prestigious leagues. He would listen to San Diego Padres minor league games on the radio when he could, but I don't think he ever went to see a baseball game in San Diego for some reason - probably because they weren't the Red Sox. When a Little League was formed in our area in 1956, he signed up to coach a team when my brother Stan was 9 years old. Soon, he was managing a major league Little League team. He also volunteered to take care of the two ball fields at Morley Field in Balboa Park, and spent several evenings a week there dragging the fields, cleaning up, watering the sparse grass, etc. He went on to manage Stan's Pony League and Colt League teams, and then my brother Scott started playing in 1964, and my father managed his teams right through Colt League also. The downside was that my father was very competitive and hated to lose at anything, especially baseball games. He was always trying to get an edge on the opposing manager, which made him fairly unpopular with the other league members. After cutting two fingers off in a garage accident with a rotary saw, he had to sit out at least one year to recuperate. He continued bowling up until the accident also, but eventually cut back the number of leagues to a Friday night league. Our first vacations in the 1954-1960 time frame were trips to the California State Bowling Tournament sites up and down California, and we did some sightseeing also. He drove the whole way. We got a television in the living room in the mid-1950s, and they started showing baseball Game of the Week and NFL games, and he watched them all. During the 1950s and 1960s, we watched the Saturday Night fights and even the bullfights in Tijuana on the local Spanish station. He was a San Diego Chargers fan from their coming to San Diego in 1961, but only watched them when they were on television. When the Chargers moved into San Diego Stadium in 1968, he bought season tickets and held them until about 1980. It was a struggle to discuss football strategy and player capabilities with him because my opinion was usually at odds with his. He liked basketball too, and in the 1970s and early 1980s he would watch the L.A. Lakers games and yell at the announcers, Chick Hearn and Hot Rod Hundley, for any reason at all. On the last night of his life, May 26, 1983, we visited him at the hospital (he had prostate problems), and left him to watch the basketball game at around 6:30 p.m. He had a heart attack while watching the game - I've always figured that he went out yelling at Chick Hearn or berating the Lakers for their sloppy play. 2124. Arthur Clark, born about 1620 in Ipswich, Suffolk, England; died 30 October 1665 in Boston, Suffolk, Massachusetts, United States. He married before 1644 in Massachusetts, United States. 2125. Sarah LNU, born about 1624 in England; died 1665 in Boston, Suffolk, Massachusetts, United States. ii. Samuel Clark, born before 01 November 1646 in Boston, Suffolk, Massachusetts, United States; died 30 January 1730 in Concord, Middlesex, Massachusetts, United States; married Rachel Nichols (1654-1722) about 1676 in Boston, Suffolk, Massachusetts, United States. * William Richard Cutter (editor), New England Families, Genealogical and Memorial: A Record of the Achievements of Her People in the Making of Commonwealths and the Founding of a Nation, Volume II, (New York : Lewis Historical Publishing Company, 1913), pages 864-5, Arthur Clark sketch. 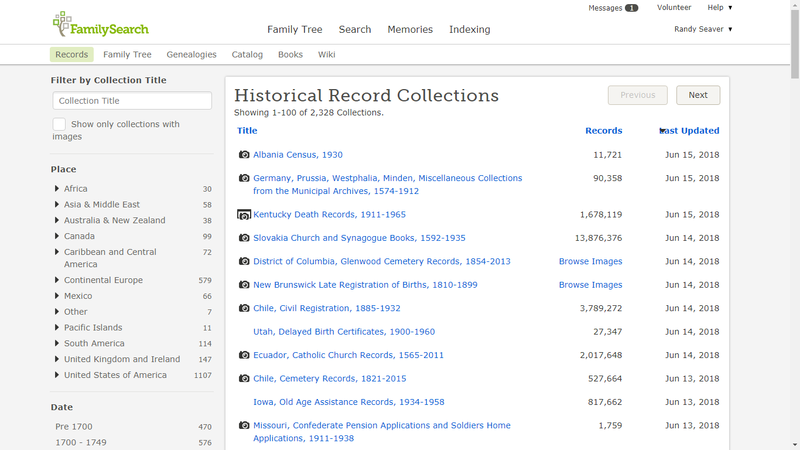 The FamilySearch Family Tree profile for Sarah LNU says her maiden name was Thayer, according to a MyHeritage tree. I have done no original research on this Clark line. 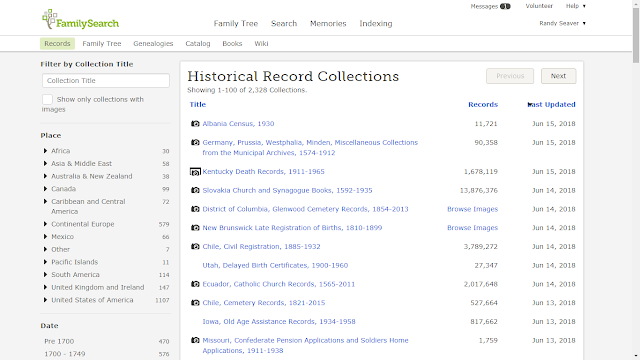 Did you miss the last Genealogy News Bytes - 12 June 2018? * Genealogical Quarterly Magazine – volumes 1 to 5 – as the title page says, this periodical is devoted to 'genealogy, history, heraldry, revolutionary and colonial records'. From its pages, you can discover marriage notices, cemetery inscriptions, inhabitant lists, and church records for various places in New England. Content Tucker (1695-1738) is #355 on my Ahnentafel List, my 6th great-grandmother, who married #354 Benjamin Wing (1698-before 1782) in 1722 in Dartmouth, Bristol County, Massachusetts. * their son, #44 Jonathan White (1803-1850) who married #45 Miranda Wade (1804-1850) in 1824. "WING, Benjamin, s[on]. Matthu of D[artmouth] and Content Tucker, d[aughter]. Abraham of D[artmouth], 18th, 8 mo., 'called October," 1722, C.R.3'"
Benjamin and Content had five children born between 1724 and 1734, all born in Dartmouth and recorded in the town vital records. "... it is my will that if any of Either of my three daughters Last mentioned shall dye before before she or they come to the age as aforsaid, that then her or their Legcee or Legacies shall be paid in Equall Proportion thereof to the survivors of my Seven Daughters namely Mary Russell, Elizabeth Barker, Sarah Wing, Content Wing Joanah Tucker Ruth Tucker and Hannah Tucker or Their Legal Representatives in case any of them be dead. "... further my will is yt after all my Debts & above mentioned Legacies Paid & Satisfied then what shall shall be Remaining of my Personall Estate both Stock & household goods & Paper money of any theire may be at my decease not herein above disposed of shall be Equally divided amonst my Seven Daughters yt is Mary Russel Elezebeth Barker Sarah Wing Content Wing Joannah Tucker Ruth Tucker & Hannah Tucker or theire Legall Representatives in case any of them be dead." This family worshipped in the Society of Friends meeting in Dartmouth. There is no death or burial record for Content (Tucker) Wing. She may have died soon after the birth of her last child in 1734, and definitely died before her husband married, secondly, to Rhoda Rogers in October 1739. 1. 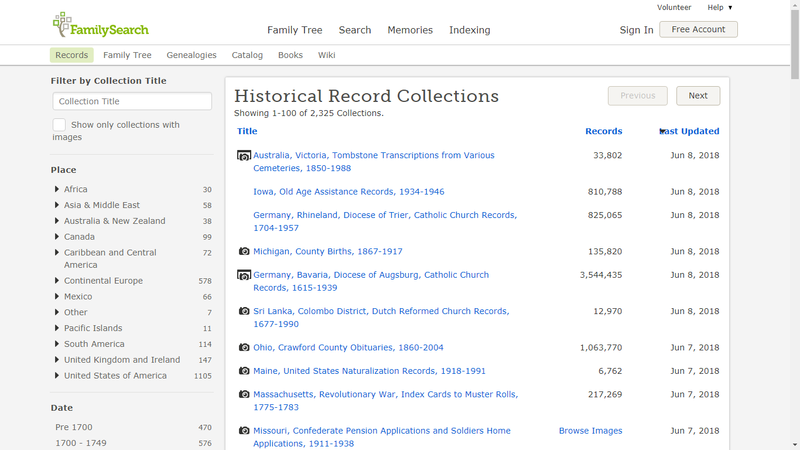 Vital records of Dartmouth, Massachusetts, to the year 1850 ( Boston, Mass. : New England Historic Genealogical Society,1929-1930), Births, page 285, Content Tucker birth entry, 1695. 2. Vital records of Dartmouth, Massachusetts, to the year 1850, Marriages, page 553, Benjamin Wing and Content Tucker entry, 1722. 3. "Probate Records, 1687-1916; Index, 1687-1926," Bristol County, Massachusetts, Probate Court Records, on 199 FHL US/CAN Microfilm rolls; original records at Probate Registry, Taunton, Mass., Volume 5, Pages 67-69, Abraham Tucker will, accessed on FHL Microfilm US/CAN 0,461,883.